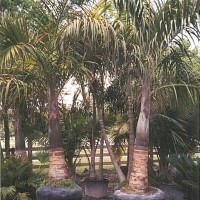 Spindle palm grows slightly taller and is slightly hardier than the bottle palm. Uses include small specimen tree. 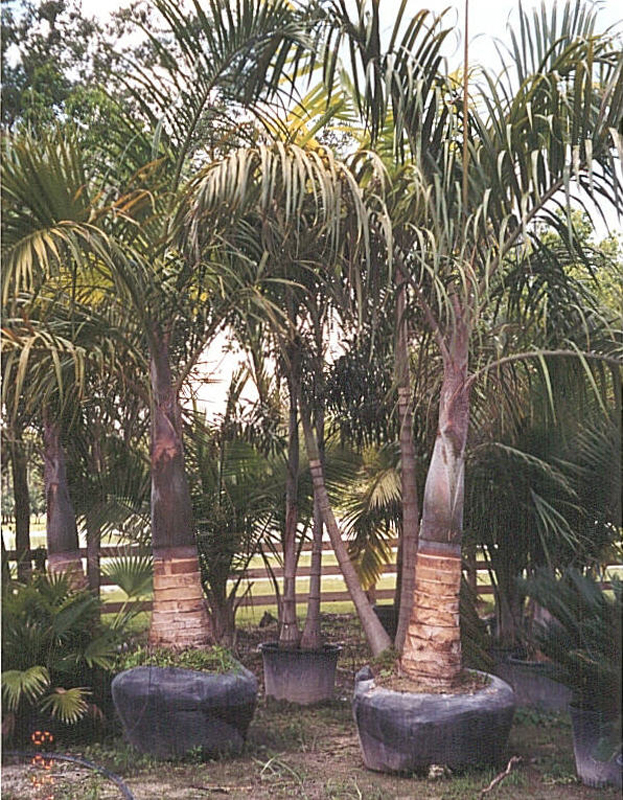 Though still quite striking in appearance, spindle palm does not cast quite as novel an aspect as H. lagenicaulis, and thus combines more easily in the landscape with other palms. It should be situated in full sun.